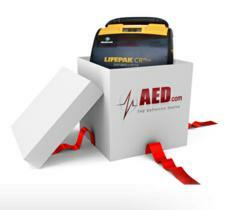 In an effort to spread awareness about Sudden Cardiac Arrest and the importance of AEDs (automated external defibrillators), AED.com announces a 100 AED Giveaway throughout 2013. Sudden Cardiac Arrest (SCA) strikes 383,000 victims annually, and is the number one cause of death in the United States. However, there are steps that can be put into place in order to prevent death from SCA. An AED (automated external defibrillator) is a portable electronic medical device that provides an electrical shock to a victim’s heart during Sudden Cardiac Arrest and, at the same time, guides the rescuer through CPR (cardiopulmonary resuscitation) with visual and audible prompts. Timing is critical during cardiac arrest, and every minute that passes without therapy from an AED decreases the victim's chances of survival by 10 percent. After five minutes in cardiac arrest without CPR or AED rescuer assistance, brain damage is likely to occur and there is a very minimal chance that the victim will survive. 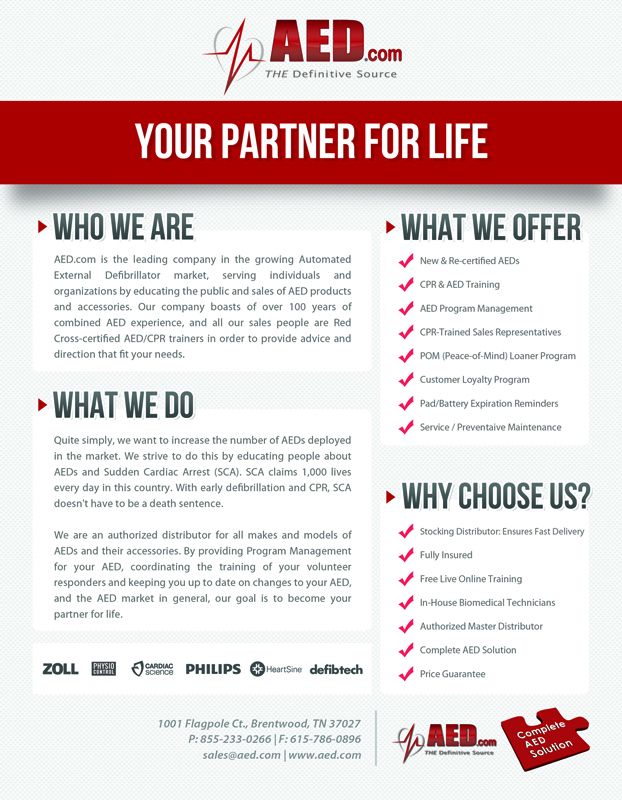 After witnessing great success in raising awareness with their 2012 AED Giveaway, AED.com announced that they will be holding another 100 AED Giveaway in 2013. “A company giveaway is already an exciting campaign, but when the giveaway is with lifesaving devices, it doesn't get much better than this,” commented Justin Darby, Director of Marketing for AED.com. The goal of the 100 AED Giveaway is to spread awareness and help create heart safe communities. Submissions will be reviewed by a team of AED.com employees who will choose deserving individuals, foundations, and organizations. “Our hope is that in the next five years, AEDs will become as common as fire extinguishers,” Darby stated. To submit your donation request, please visit: http://www.aed.com/100-aed-giveaway, or send an email to info@aed.com. AED.com asks that submissions describe why you or your organization would make a good candidate for an AED donation, and where you will place the AED. “We hope that these AED devices will help communities begin the discussion regarding how to improve safety and increase Sudden Cardiac Arrest survival rates,” commented Darby.